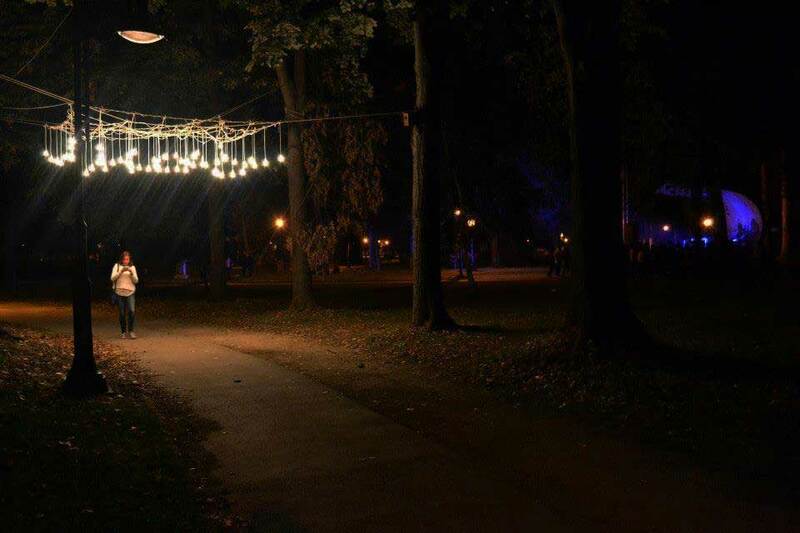 White night is an installation that was set in the City park in Skopje on the 4th of October 2014. 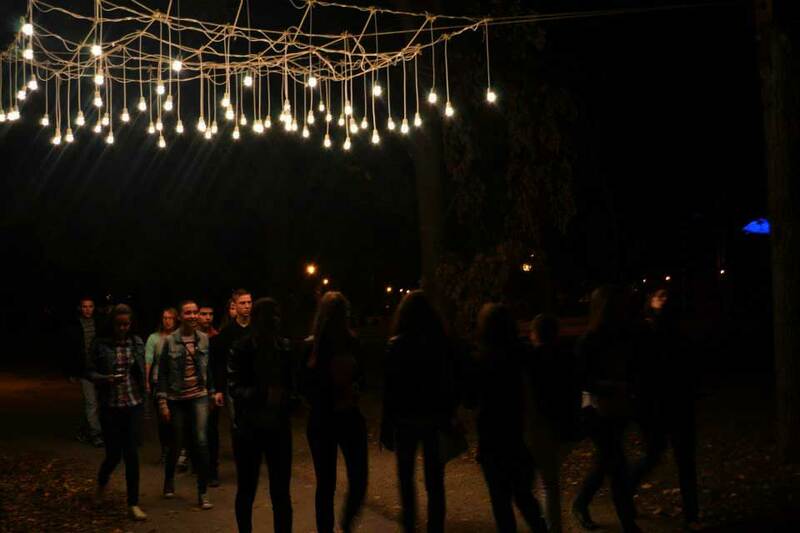 The installation is made by MELEEM as a part of the annual event “White night” organized by the Youth Cultural Center – Skopje. 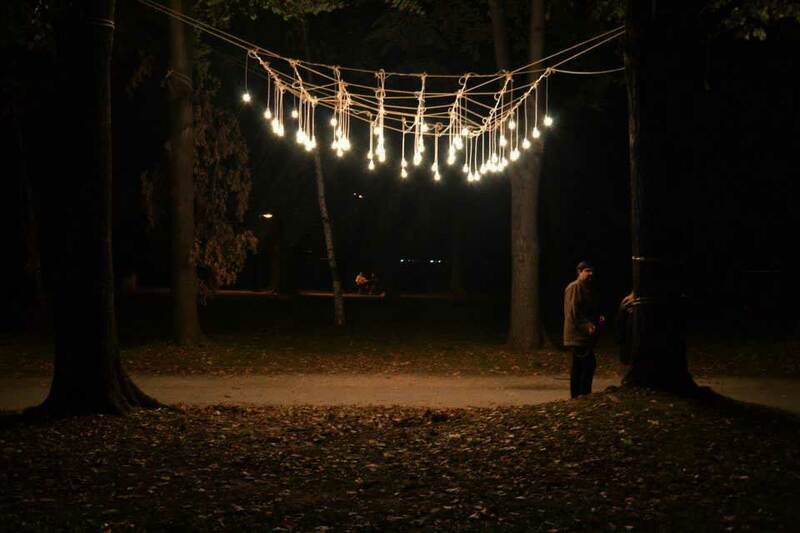 The installation symbolizes а white illuminated sky in the City park. 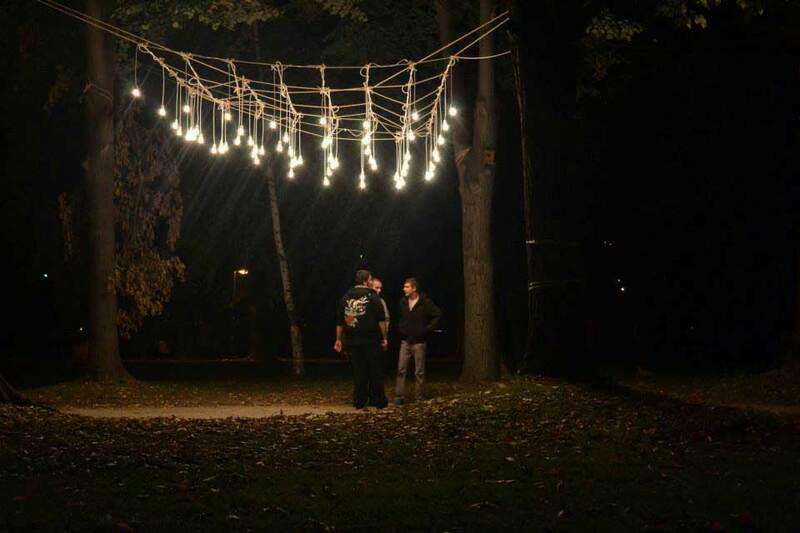 The location is chosen between the trees because of the ambiance of the forest and the branches and the darkness which they provide. 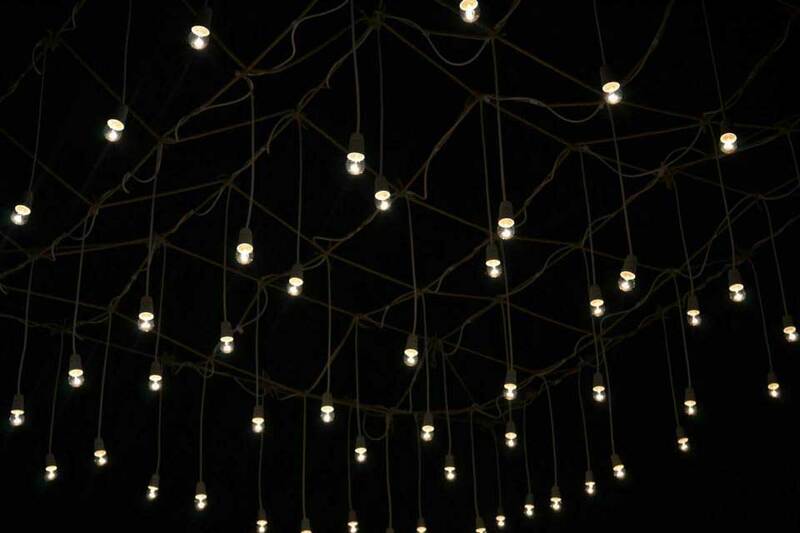 The bright net made of 49 fields creates a white surface above one of the paths in the park. 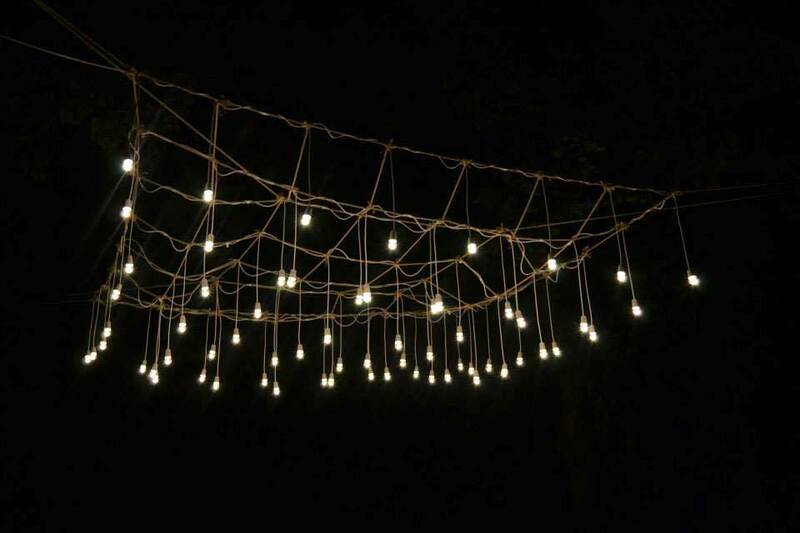 The people who passed on this path, near Shkolka, inevitably passed under the illuminated sky of the White night.